The 5% for Vets Fund is my promise to give back 5% of net profits from our USA flag sales each year to a non-profit organization that helps Veterans of the United States Armed Forces. Check out our Blog for posts on our donations. Our mission is to heal. To heal the wounded soldier whose damages are unseen. To heal the wounded animal whose trust has been broken. 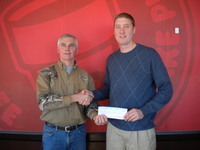 Dog Tags New York empowers members of the veteran community through interaction with rescue animals. We build purpose, trust, and camaraderie, while aiding in transition and adjustment. We take our mission to Veteran and animal organizations throughout the state. Support, Empower, Respect, Veterans and their families. Before veterans in need can fully benefit from therapeutic programs, skills training, or any other service, they have to have their basic human needs of food, clothing, and shelter met. The "Basic Human Needs" build a strong foundation of trust upon which other services can lead lead our veteran heroes onto the path of self-sufficiency. Our housing solutions provide much needed quality services and programs known to prevent relapse and homelessness, and we render them in a humane, compassionate, and dignified manner. Mission Statement/Why we do it: First, we believe that it is a travesty of epic proportions to leave our Veterans unattended upon return from serving their country. Second, we at the WNYVHC believe that stability is first a product of place and second a product of aid. With both pillars of belief in place we know it is our duty as Americans to provide both housing and case management to our Veterans. 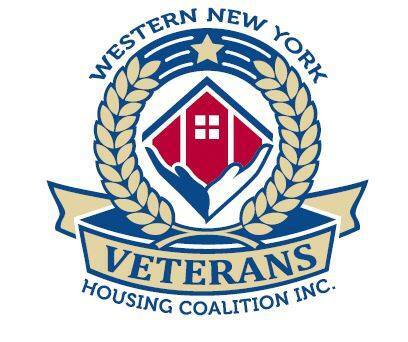 The number of Veterans experiencing homelessness in Western New York and the nation as a whole is alarming and appalling; it is our mission to alleviate these numbers; to serve those who have served. Mission Statement: Team RWB’s mission is to enrich the lives of America’s veterans by connecting them to their community through physical and social activity. Our chapters and communities deliver consistent, local opportunities for veterans and the community to connect through physical and social activity. And it is so much more than running. They host regular fitness activities, social gatherings, and participate in local races and events together. Veterans can also develop their leadership skills by serving as a volunteer leader in their local chapter. 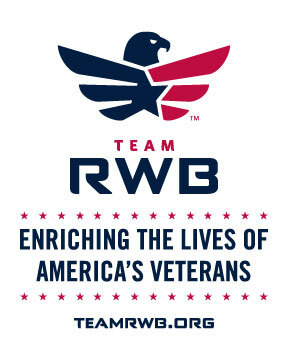 These programs are at the core of Team RWB’s mission. Mission Statement: Dedicated to keeping our Vets healthy. Feed Our Vets is a 501 (c) 3 nonprofit organization whose mission is to help Veterans in the United States, their spouses and children, whose circumstances have left them on the battlefield of hunger, and to involve the public in fighting Veteran hunger, through: (1) Community food pantries that provide regular, free food to Veterans and their families, (2) Distribution of related goods and services, (3) Public education and outreach. 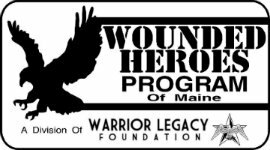 Mission Statement: Warrior Legacy Foundation’s Wounded Heroes Program of Maine is a registered 501(c)(3) non profit, all volunteer organization established to support our wounded veterans when they return home after being injured in the line of duty. Once released from service due to injury, they no longer get paid. Waiting for their disability claim to be processed will take at least a year; the majority of the time, much longer. During this difficult time of transition, the expenses of daily life become overwhelming, as they are unable to work and need ongoing medical/mental health care. Wounded Heroes Program provides a safety net by paying rent, utilities, cell phone, heating oil payments and more. Wounded Heroes also provides benefits guidance and advocacy so that our veterans do not have to navigate the systems on their own. We are proud to be there for our service members in their time of need. Mission Statement: Boulder Crest Retreat for Military and Veteran Wellness is a country retreat providing free accommodations, activities, and programs for our nation's seriously wounded warriors and their families to relax and reconnect during their recovery and rehabilitation. The 37-acre retreat offers private accommodations and opportunities for adults and children to enjoy a variety of recreational and healing activities and resources to support healing and emotional well-being. Mission Statement: Using the recreational, therapeutic, and educational properties of eastern Maine's great outdoor heritage, House in the Woods Military & Family Retreat serves our nations military, veterans and their families. Offering free, short-term, wilderness activities to bring participants together to meet others with similar military-related experiences and challenges for sharing and healing.